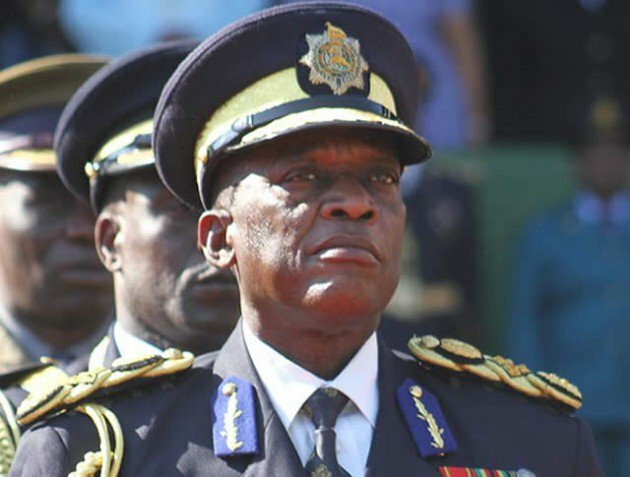 FORMER Police Commissioner General Dr Augustine Chihuri allegedly personalised the Zimbabwe Republic Police's diamond mining company, Gye Nyame, in Marange as he "sorely" operated it, a Parliamentary Committee report has said. The former police boss is accused of hand picking police representatives for the Board of Gye Nyame without the knowledge of other top cops and officials including the Minister of Home Affairs and the Ministry's Permanent Secretary. According to a report presented in Parliament by the Committee on Mines and Energy following a probe into the mining of diamonds at Chiadzwa, the former Minister of Home Affairs, Dr Ignatius Chombo and the Permanent Secretary of Home Affairs Mr Melusi Matshiya outlined to the Committee that they were not aware of the existence and operations of Gye Nyame. "The Secretary for Home Affairs is accountable for all departments that fall under his purview and unfortunately he could not account for the operations of the police as they relate Gye Nyame. "It was clear to the Committee that the company was to some extent personalised with strong ties to the former Commissioner General Dr A Chihuri. All police representatives on the Board Appointments were done by the former police Commissioner General without approval of the Permanent Secretary or Minister of Home Affairs," read the report. The committee said it had also noted that those who were appointed by the former Commissioner General to serve on Gye Nyame were very defensive or ignorant on why they were appointed to serve on the board. "High ranking officials in the Police Service that include Deputy Commissioners Innocent Matibiri, Ms Josephine Shambare and Mr Levi Sibanda were not confident and articulate in their submissions about the existence and operations of Gye Nyame," reads the report. The committee said they were concerned by claims by the Permanent Secretary and Minister of Home Affairs that they were not aware of the operations and existence of Gye Nyame as the matter was in the public domain which should have prompted them to take action. The report states that in his written submissions to the Committee, Dr Chihuri said the Permanent Secretary of Home Affairs was briefed about the diamonds concessions. "There is therefore a possibility of misleading Parliament by either of the parties. As such charges of contempt of Parliament may be preferred against either of the parties should it become clear that there was deliberate intention to mislead the Committee. This is not the end of the inquiry and accountability of the parties shall be demanded in due course," read the report. The Committee said it observed that serving members of the police were unwilling to disclose information for fear of losing their jobs, especially in the wake of a police shake up that took place in January 2018, where senior police officers were retired from service. Unlike the Zimbabwe Republic Police whose books were in shambles, The Zimbabwe National Army, through its company Anjin, had its house in order. Anjin was one of the biggest players at the diamond fields and produced approximately nine million carats which generated about $332 million in revenue, according to the report. Out of that figure, $62 million went to Government as royalties and $86 million was spent under corporate social responsibility programmes. "Unlike the Permanent Secretary of Home Affairs, The Permanent Secretary of Defence proved to the committee that he received regular briefs and was on top of the situation. For the Permanent Secretary of Home Affairs there was a prima facie evidence of dereliction of duty, something that must not be allowed in the public administration," read the report. According to the report, the ZNA also stated that their operations were transparent and open for the public to audit. The committee recommended that Government arms such as the police, army and the Central Intelligence Organisation should not be involved in mining ventures. "These must concentrate on their core business," said the Committee. The committee also recommended that officials from the Ministry of Mines, Zimbabwe Mining Development Corporation (ZMDC) and its subsidiaries declare their interest and assets on assumption of office and during their term of office to curb corruption.